Representative Honours: Northern Ireland: 56 Full Caps / 2 Goals (1949-1962); Irish League: 4 Caps (1948-1949); Football League: 1 Cap; Great Britain (1955). Club Honours: (with Glentoran) Irish Cup Runner-Up 1946/47, 1948/49; (with Tottenham) Football League Champion 1960/61; FA Cup Winner 1960/61, 1961/62; European Cup Winners' Cup 1962/63; (with London FA) Inter-Cities Fairs Cup Runner-Up 1957/58. Awards: Football Writers' Association Footballer of the Year 1958, 1961; FIFA World Cup All-Star Team 1958. * The London XI team was specifically created to enter the first edition of the Inter-Cities Fairs Cup which ran from 1955-1958. # Other appearances: Swindon war-time League; Tottenham: FA Charity Shield. * Includes all games in all competitions. 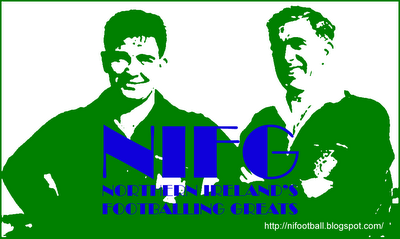 Blanchflower was also manager of Northern Ireland from 1976-1979 and Chelsea 1978-1979. Summary: 56/2. Won 11, Drew 16, Lost 29. 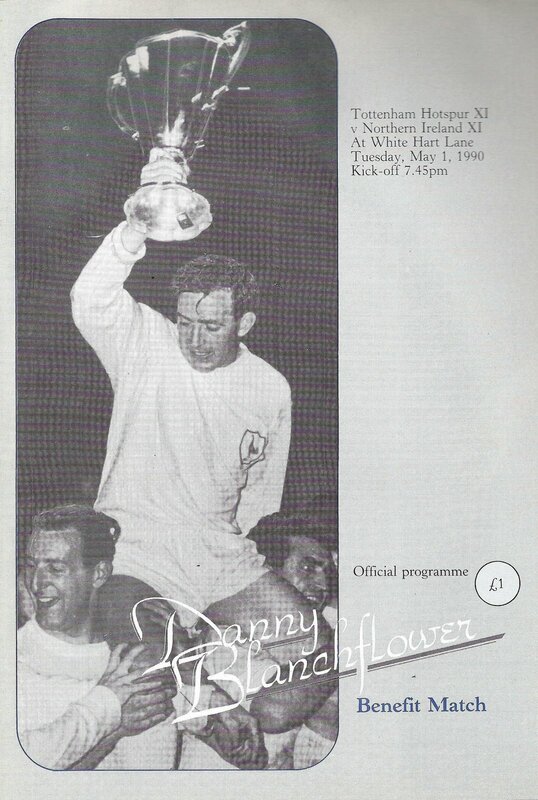 The 1957 match programme from Northern Ireland v Wales states that Danny turned down a lucrative coaching offer from the Canadian FA. Spells with foreign clubs weren't really taken into account when summing up the careers of British footballers in his day. Several huge stars spent the odd summer playing bona-fide league football in faraway lands. Danny Blanchflower actually started his career at Toronto Ulster during WW II. Spells with foreign clubs were often ignored when summing up the careers of footballers of his generation. Several stars spent the odd summer playing league football in faraway lands. 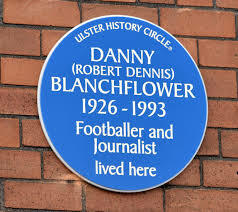 I'm the one who supplied the Canadian and South African stats on Danny Blanchflower. I mistakingly stated that he played for Boksburg FC in 1963. I should have checked my notes more carefully. It was in May-June of 1962 that Blanchflower starred for the modest mid-table club! The article should be corrected accordingly. Forgive my slackness! All fixed now. As is my awful mis-spelling of Durban!